I read a sample of the first few pages of Little by Edward Carey (see the link below) and immediately wanted to read more. Gallic Books usually translate and publish French novels under their Gallic imprint, however I could see exactly why this historical novel, written by the English novelist and playwright Edward Carey, set in the late 1700’s France, would be a worthy addition to their collection and so I requested a copy which to my delight was sent to me soon after. Even before reading it, I was recommending it to friends, some of whom have finished it, so it rose to the top of the pile and Voila, here are my thoughts on it! It’s a wonderful read, following the extraordinary life of Anne Marie Grosholtz, born in 1761 in a small country village in Switzerland, who must move to the city of Berne with her fragile, easily frightened, recently widowed mother, to work for a young, reclusive, eccentric Doctor Curtius, a home-based medic obsessed with anatomy and the physiology of the body, who creates replica body parts copying those that the hospital delivers him, reproducing them in wax. The mother too faint-hearted to cope with the thought of having to assist him, it is left to six-year-old Marie, to be the strong one, to learn the required skills so she becomes his servant, and his first model, for a complete head, a plaster mould filled with wax. When the wax heads are sought out by men who desire to see themselves on display, the hospital turns against him and they flee to Paris, where a journalist who had once visited them befriends them and finds lodgings with an overbearing tailor’s widow and her meek son Edmond. At first their work has no connection, but the widow is an astute businesswoman and soon takes control of the Doctor’s affairs moving them to larger premises on a main boulevard where their business will become a leading attraction in Paris. They recreate both the noble and the demons of the city, the murderers, who they believe by putting on show might teach people what to avoid. Marie is not liked by the widow and is banned from the workshop as the widow inserts herself into the life and work of the Doctor, but secretly she has been making a few mini wax models of her own and thus her fate will change once again, when the reigning King Louis XVI’s sister Elisabeth comes knocking unannounced and it is Marie who answers the door. She will spend eleven years in the palace of Versailles as tutor (Maitresse de Cire) to her princess friend, until her confidence and boredom combine to get her in trouble and she is banished, back to the widow and her master. This transgression may well have saved her life, given what was to come with French royalty. 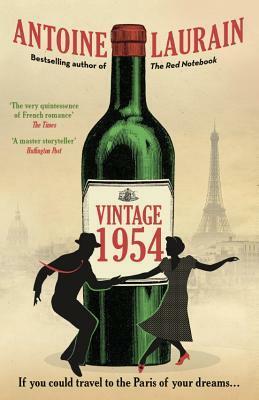 The novel tracks her life and beside it the growing unrest in Paris, as the people rebel against those who ‘have’, against those who ‘rule’, and a frenzy of imprisonments and executions pervade the city, where no one is safe from denunciation and possible death. These stories and the historical references bring the novel alive, in animated prose that explores the noble alongside the grim and ghoulish, for the public of the time desired to see and know it all. Marie is a survivor, and through all kinds of circumstances, she not only survives, she adds to her skills and is destined to thrive, despite the inordinate amount of suffering and tragedy she witnesses and bears. Never entirely safe, being a foreigner in a land where favour swings swiftly and justice had a penchant for heads, she eventually leaves Paris and an ill-chosen husband Tussaud, taking one of her sons, to live out her thriving middle and old age in London, creating there, what was no longer sustainable in Paris, a wax museum of the rich, famous and infamous. At the age of 81, eight years before her death, she created her own wax self-portrait, which continues to reside in the museum today. With so many changes occurring in their lives, and so many characters of varying class and esteem entering their premise and the inevitable difficulties of being the unwanted additional child in an already complex household, it’s no wonder the chapters and years fly by, full of intriguing accounts of the lives of all those who had cause to come within Marie’s purview. A brilliant, absorbing read of an incredibly resilient child, who becomes a skillful, industrious, entrepreneurial woman, with the addition of many pencil drawings throughout, just as we imagine she might have done them. Highly recommended for those who enjoy excellent historical fiction about women raising themselves up despite immense challenges in their social status and background.